What Do Moroccan Families Eat for Breakfast? Breakfast always includes bread, a daily staple in the Moroccan diet. These are accompanied by a variety of jams, chutneys, olive oil or clarified butter (ghee) and cheese. Bread is often used in lieu of utensils to scoop up many varieties of food, such as egg yolks at breakfast. 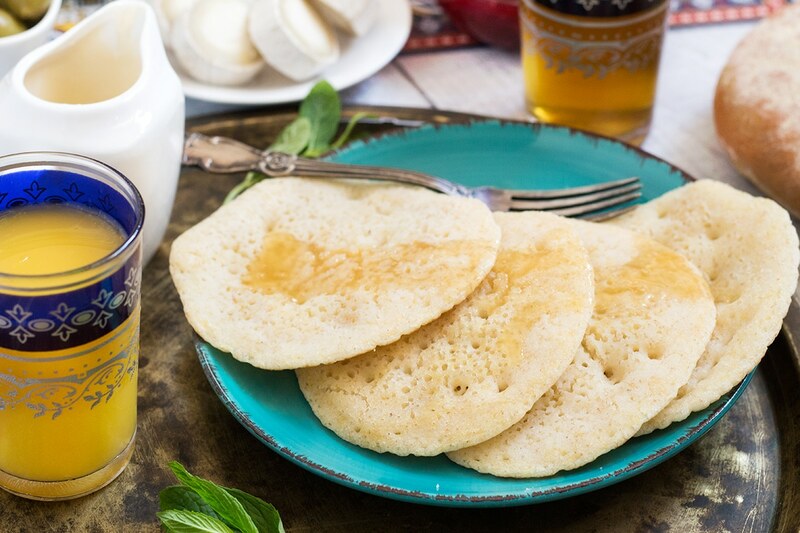 Pancakes are another major Moroccan breakfast staple, and Baghir, made from semolina, are one variety with dozens of tiny holes in them. Another favorite pancake variety is Rghaif. Depending on how the dough is folded before cooking, these are sometimes called Msemen or Meloui. Pancakes are usually eaten with a honey-butter mix, or with a favorite jam, usually strawberry or apricot. As for beverages, the famous Moroccan mint tea is the most important drink on a Moroccan breakfast table, and they absolutely love fresh orange juice, generously sweetened just like their super-sweet mint tea. 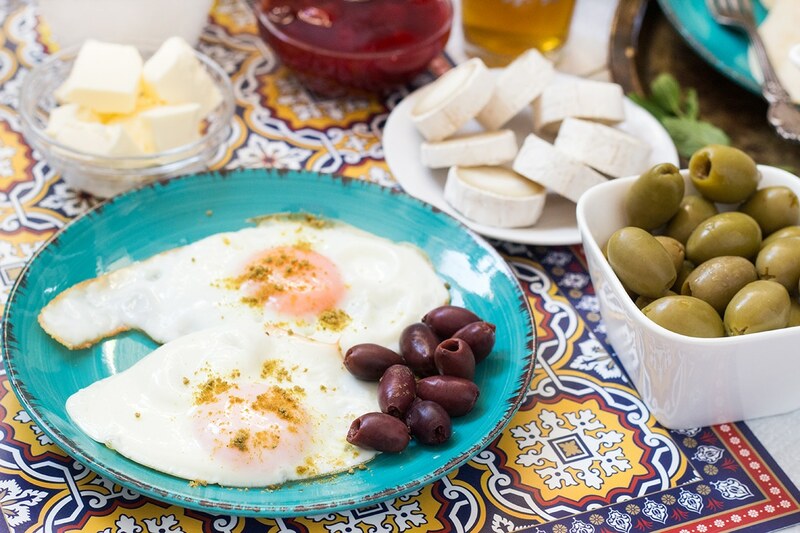 You might also find fried eggs seasoned with cumin with olives on the side, yogurt and fresh fruit, as well as a traditional preserved meat called Khlii, made from seasoned lamb or beef dried in the sun for a couple of days and then cooked in animal fat, oil and water. Moroccans don't mess around when they make breakfast -- no coffee and doughnuts to-go for them! If you'd like to experience a Moroccan meal, visit us at Kous Kous Moroccan Bistro for one of the best.